We are a very small charity which helps us to provide a friendly and personal service to our members. With this in mind there are a range of volunteer roles available. We’re aware that volunteering is a two way process and we make sure that all of our volunteer roles are flexible and encourage on the job learning so that our volunteers get something back from us. We are seeking new people to become trustees and join our management team. Currently we are particularly looking for a trustee with experience in Buildings Maintenance; we are the landlord of a property in North Bristol and it would be great to have someone on board who could manage this. We are also looking for people with skills in governance, finance and fundraising. If you have no experience of working with a charity before we are able to mentor and train new trustees. Being a trustee is fantastic experience for career progression and really proves your ability to give back to the community. We welcome applications from members who feel they would like to shape the future of the organisation. Please contact Cathy on 0117 9655 028 if you are interested and would like to find out more about the role. 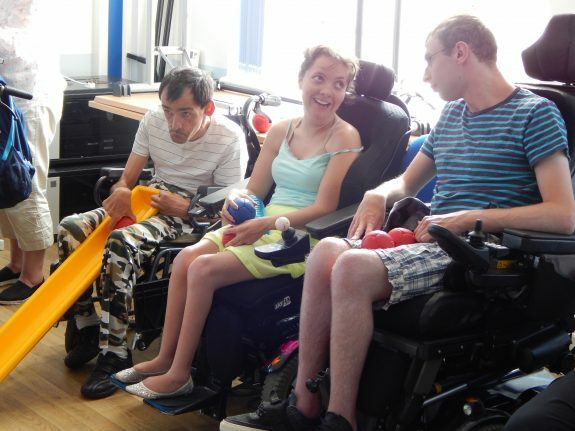 Cerebral Palsy Plus receives no statutory funding whatsoever and we are always looking for imaginative ways to raise money to help us do all the things we do. If you have ideas about ways in which to help us raise funds, want to run a marathon, climb a mountain, hold a coffee morning or a car boot stall to support us please do get in touch. We will discuss how we can support you and publicise your event using Virgin Giving, this website and our newsletters. We look forward to hearing your ideas! Cerebral Palsy Plus hosts various activity days throughout the year and they are always fun and busy. We welcome helpers at these events to meet and greet, help with refreshments and generally lend a hand. In return for your time and energy we will provide you with on the job training, regular supervision and reimburse your transport costs.